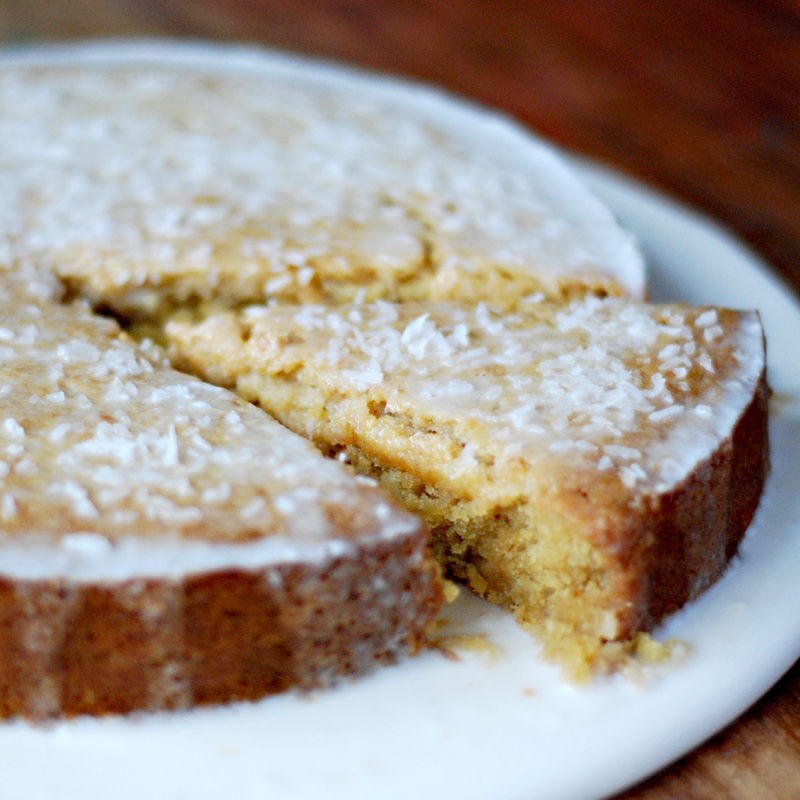 This cake is super easy to make and it take almost no time to prepare. Perfect for one of those afternoons when you want something sweet and delicious to go with your cuppa. Mix flour, light brown sugar, 3/4 cup desiccated coconut, corn flour, bicarbonate soda and salt. Add in 1 cup coconut milk, oil, vinegar and vanilla paste. Mix and pour the mixture into a greased 9 inches round spring form baking tray. Mix the rest of the coconut milk with the icing sugar and the rest of the desiccated coconut. Pour it on top of the cake and serve it. Well, this just looks amazing. Nothing better than a simple cake that bursts flavor. Cannot wait to try! Thanks for the reply …. so if 1/8 cup is required I divide 236.64ml by 8 = 29.58ml yeah? Hi Vanessa, I made the cake today and it absolutely delicious! Thank you for the recipe that I will make again for sure. Only comment: I had to increase baking time to roughly 45 mins before the cake was done. I know this was a while back, but can this cake be frozen?